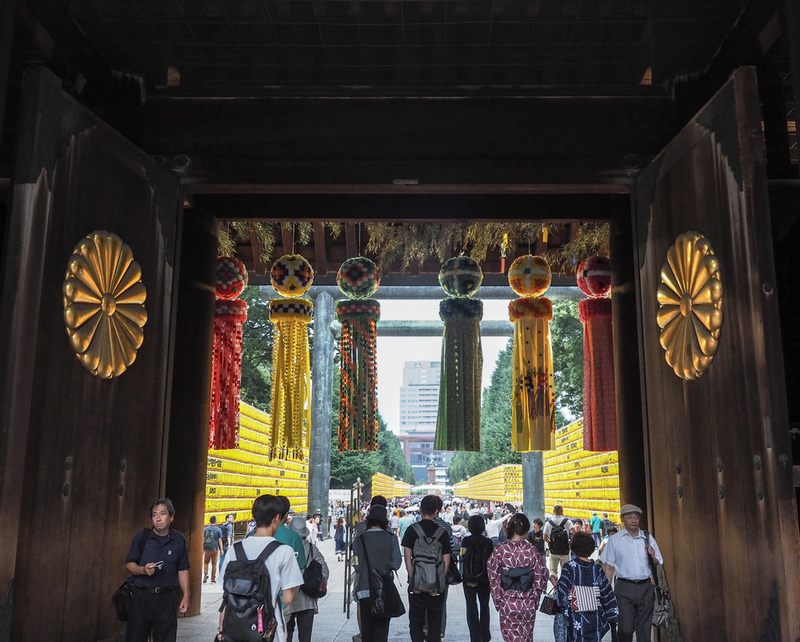 Each year in July at the Yasukuni Shrine, there is the Mitama Matsuri (which basically means ‘festival for the souls of dead people’) but is also known more cheerfully, as the Lantern Festival. 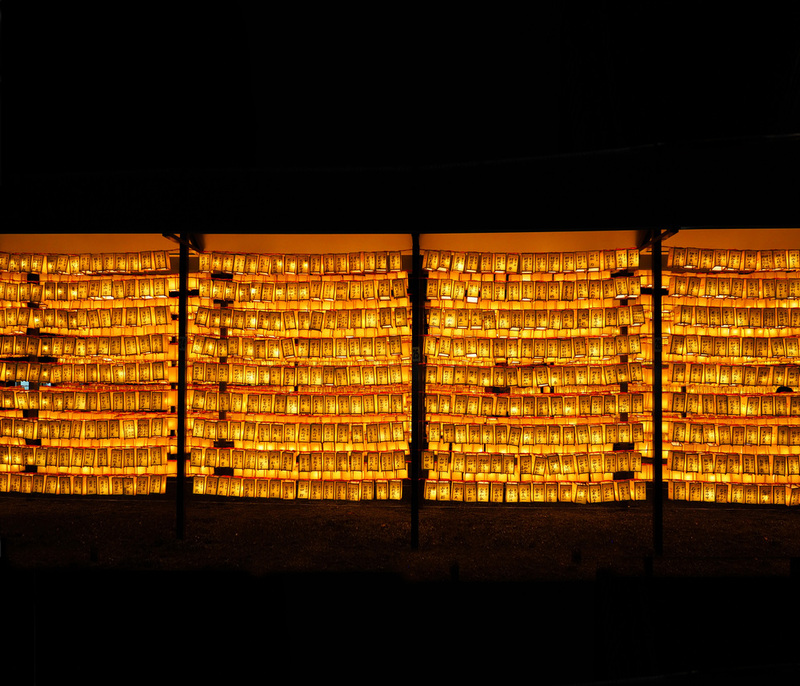 This somewhat controversial shrine is dedicated to those who lost their lives defending Japan in the war. There is also the War Memorial Museum here that is definitely worth a visit. 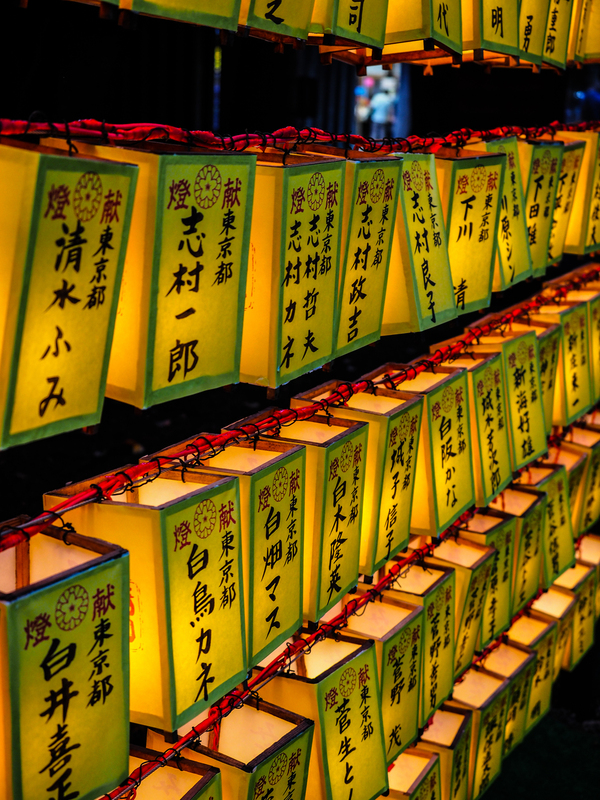 At the festival there are over 30,000 lanterns that light up the main road to the shrine, and branch out over other parts of the grounds. 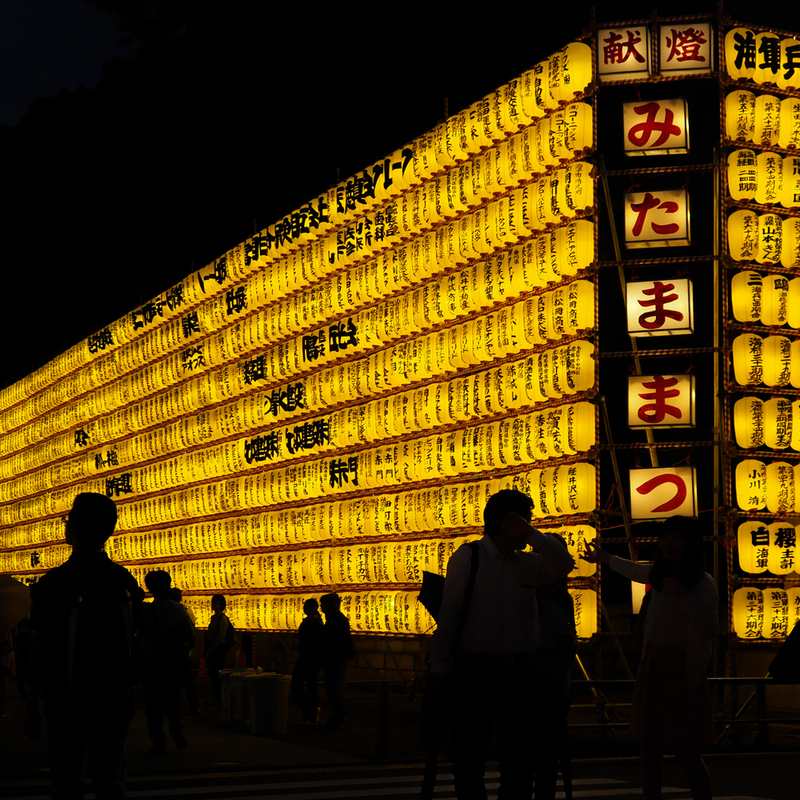 It is a breathtaking sight seeing them all lit up at night, casting their golden glow over the crowds of people who come to watch the festivities. 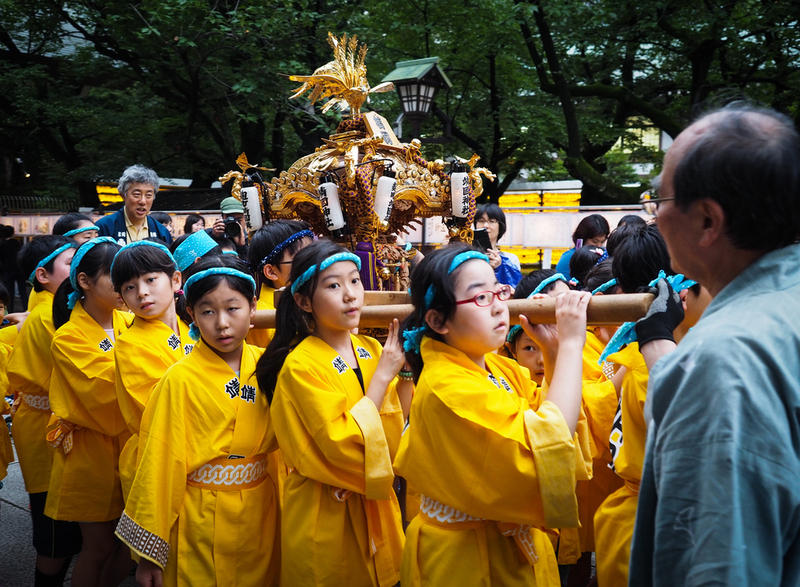 There are people performing traditional music and dances, there are teams of people carrying mikoshi (portable shrines) and even marching bands. 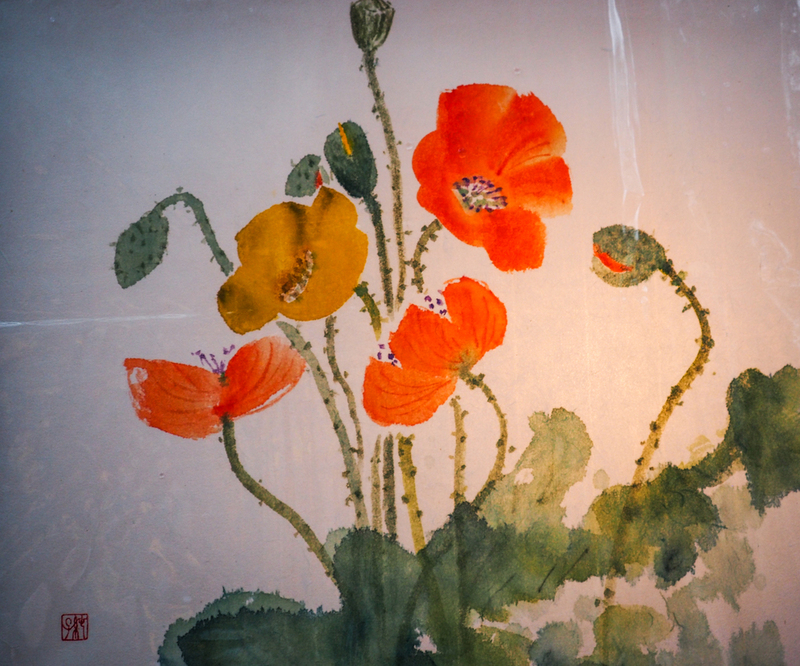 This was one of the most memorable things I saw while in Japan. 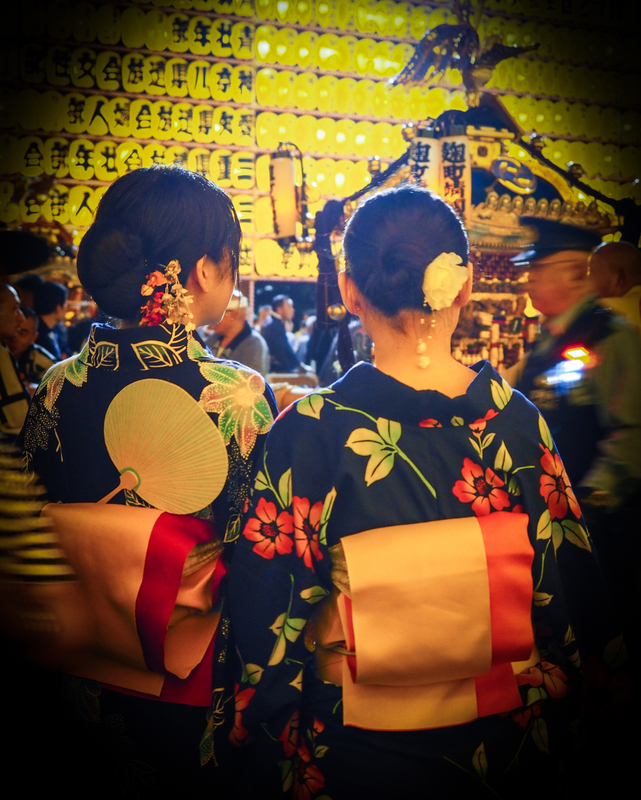 The history of this shrine coupled with the strong cultural traditions that are a part of this festival created an atmosphere that was somehow both happy and sad, but definitely beautiful.